Slice the cookie dough into 1-in thick slices, then into quarters. Place one quarter into each cup of a greased mini muffin pan. Bake for 9 to 11 minutes. 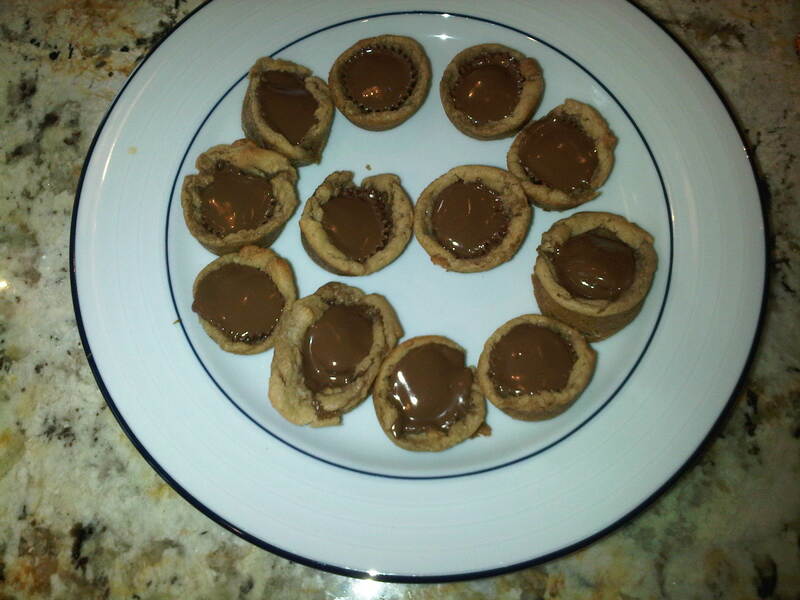 While the dough is still warm, push a peanut butter cup into each muffincup and let cool in the pan. When the cookies are cool, use a spoon to remove them. 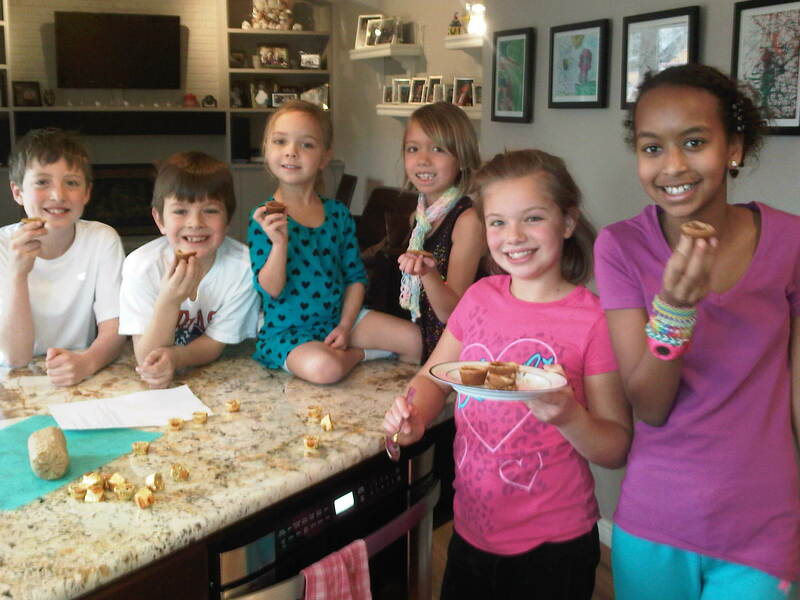 L-R: Alastair’s friend Tate, Alastair, Magnolia, Dagny, Addie, Addie’s friend Fiona, all helped make the delicious cookies. 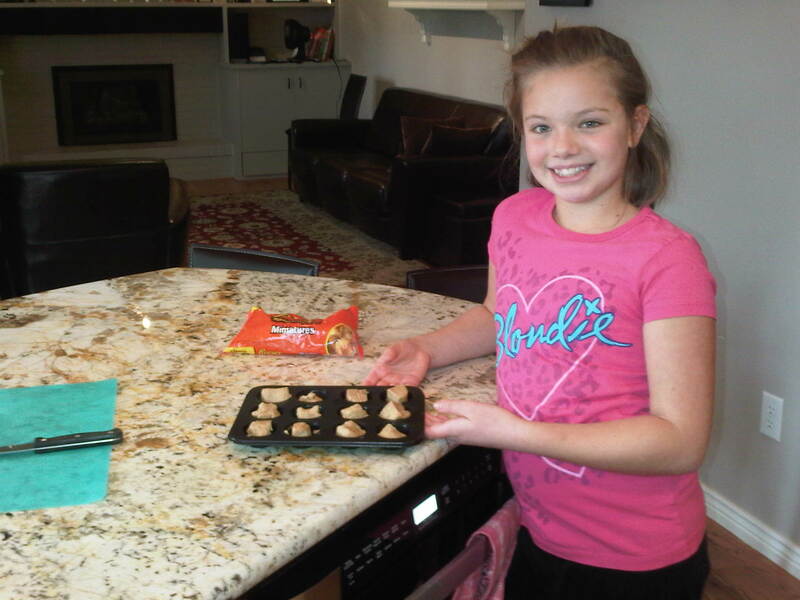 Nana’s Notes: I watched The Pioneer Woman program on Food Network when Ree Drummond made these delicious cookies. She said she has made them using peanut butter cookie dough from scratch, and her family doesn’t like them as well. These cookies can be made using any kind of cookie dough paired with any kind of small candy, i.e. sugar cookie dough with chocolate kisses or chocolate chip cookie dough with Rolos, and so forth. Also, on her Pioneer Woman web site, she suggests you not bake them the full 9 minutes, but instead pull them out just as soon as they begin to brown, about 6 or 7 minutes, and immediately insert the candy. Let them cool in the muffin pan. The candy turns soft and gooey. Yum. I love how Addie said she would use this recipe as a party dessert and then threw a little party for this post! Good job Addie. Here’s a random thought. I made a (small) pot of navy bean soup and do you remember that Mom served that dish over mashed potatoes? 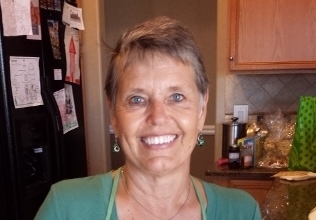 She sure liked sneaking in mashed potatoes to our dinners!